Winter isn’t typically a “home improvement” season, but maybe it should be. After all, you’ll be spending plenty of time indoors, and may even be hosting extra guests over the holidays. It makes sense to ensure you’re putting your home’s best face forward, even when it’s cold outside. 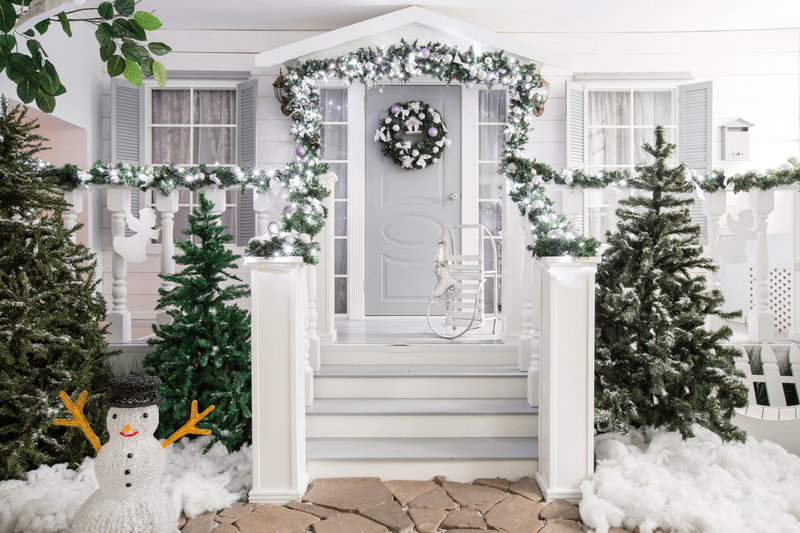 These home improvement ideas are perfect for winter, and if you’re hoping to sell, will be great assets when you bring your home to market! If you’re really feeling the chill this winter, there are ways to improve your insulation. Something as simple as adding caulk or waterproof sealant to drafty windows can make a huge improvement. If you’re looking for a more ambitious project, consider better insulating your attic. Adding attic insulation can help you save on energy costs in all seasons, and can give you a 116% return on investment! If your thermostat is older, consider replacing it. Even if it works just fine, the cost of replacing it might easily be recouped. Programmable models that cut down on energy usage while you’re away can help save on heating bills this winter, and cooling bills come summer. They also help keep your home comfortable around the clock without constant adjustments. These utility rooms can get disorganized and messy during the busy warm-weather months. Since you’re stuck inside anyway, use the time to get rid of the old and make room for new. Make a list of things like cleaning products, yard and garden tools, and storage solutions that need to be replaced, and then keep an eye on sales. The holidays often mean moving decorations and supplies in and out of storage spaces - another great chance to reorganize and declutter. This season, you’ll see a lot of discarded gloves, heavy coats, and wet boots come through your home, especially if you plan to entertain. Consider the current layout of your mudroom or entryway. Is it easy to hang up cold-weather clothing? Is there a clear place for wet shoes and boots? Adding coat racks, hooks, storage benches, and mats to these areas will make winter easier on you and your guests. All these projects are relatively easy, and perfect for cold afternoons! At Rhoades, we’re always thinking outside the box about how to help our clients sell their homes for top dollar. If you’re looking for more ideas or guidance, give us a call at (309) 647-8811.